Azamat Tazhayakov was a friend of the alleged Boston Marathon bomber, but the defense told jurors during opening statements that he never tried to help Dzhokhar Tsarnaev. Tazhayakov has pleaded not guilty to conspiracy and obstruction of justice and is the first to go to trial in the case of the marathon bombings. The government says he and Dias Kadyrbayev went to Tsarnaev's dorm room and removed items even though they allegedly knew he was a suspect. Among the items were a backpack, a laptop, marijuana and vaseline. A month before the bombings, the prosecution said the three college friends went out to dinner, where Tsarnaev talked making bombs with vaseline and becoming a martyr. The defense says Tazhayakov's association with Tsarnaev does not make him guilty. 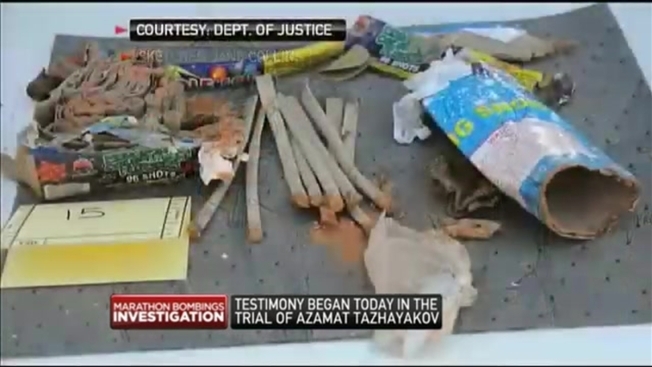 In court, the defense blamed Kadyrbayev for taking the backpack from Tsarnaev's room. Still, the prosecution says Tazhayakov knew who the alleged Boston Marathon bombers were eight hours before they were publicly identified. Jurors saw a text message Tsarnaev allegedly sent to the defendant after the bombing, telling him, "Don't go thinking it was me." The defense and the defendant's father say Tazhayakov tried to help investigators as soon as he understood what happened.